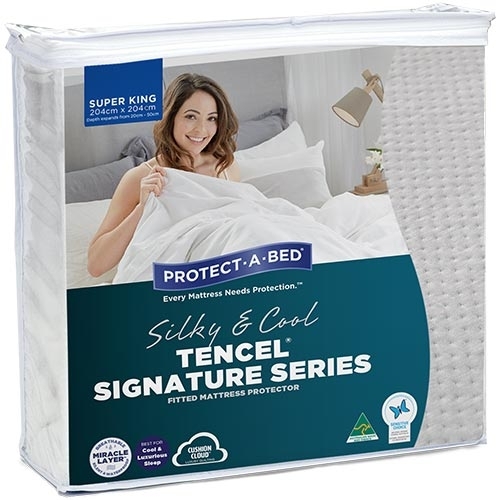 The Tencel Signature Jaquard Fitted Waterproof Mattress Protector is made from wood-based fibre with a Cushion Cloud™ luxury feel. 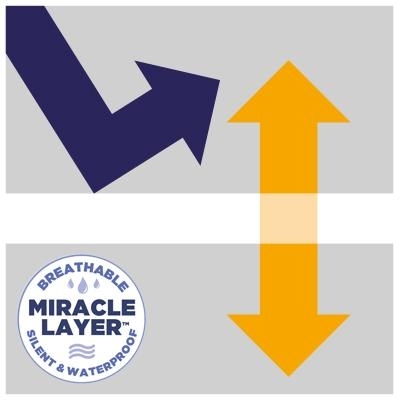 It has Silky smooth TENCEL® sleep surface that is softer than silk, cooler than linen and more absorbent than cotton. 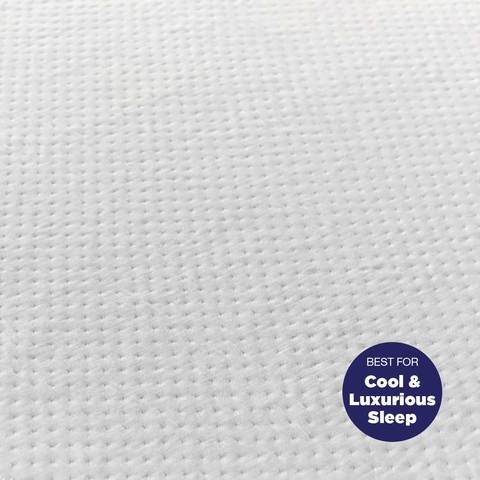 Features all the benefits of Tencel®, combined with the unique jacquard quilting, which features filling, for extra support and padding, providing a more luxurious sleep.